Maybe because my youngest daughter gets up really early causing lack of sleep. Maybe its grad school keeping my mind busy at all hours causing lack of sleep. Maybe I am worn out. Worn out from the obsession that people have about the terrible state of public education. Worn out from having to work so hard to pay attention to politics. If I wanted to pay this much attention, I would have run for office. I didn’t do that. I chose to be a teacher. To make a difference in the lives of others. To help my high school students find a love of math. To help give my college students every possible advantage as they prepare to become our next generation of teachers. I love teaching, truly LOVE IT! I am grumpy with what is being done to my profession. Teachers are not a bunch of uneducated, greedy, self-indulgent, non-caring, mouth breathers looking for a quick buck. Teachers are givers. They give themselves, they sacrifice family time, they spend their own money for school supplies, they go to every event imaginable, they pour their lives into what they do. I believe teaching is a calling. I want my students who are future teachers to feel this calling. Truly feel it. I want them to have enthusiasm and passion for teaching their students. I want them to make a difference in the lives of those around them. It is getting harder to do that in Oklahoma. This whole issue with AP United States History has been so frustrating for me. I don’t teach history, I cannot give you a detailed explanation of the framework that College Board has constructed for this class. I can only say, that this framework was created by college history professors and high school history teachers who are experts in history. Is this not good enough? Are college professors and experienced, brilliant high school history teachers somehow ignorant about US history? First a bill to take all funding away from this course, when that fizzled, a house resolution of the same thing was brought up. Why? What purpose does this solve? The entire Common Core issue – whether you are for or against is another debate. Our policy creators were all for it. It was state law to move to this. School districts spent hundreds of thousands of dollars to move this direction. It took years to prepare. It took thousands of dollars to purchase necessary items. Then with the push of a button, three short months before school started, Common Core was gone, determined by our policy creators that it was government intrusion. Schools were now in full scramble mode to move back to PASS. Beyond frustrating for every educator involved. School ESA’s are another hot button issue – should the state give public tax dollars to everyone to spend on education? My question would be this: If private schools and charter schools are so amazing, why are public schools so shackled? Why is it that private schools are exempt from all of the testing hysteria? Why can we not give the public education system some of those freedoms? Why is that a bad thing? There are some absolutely brilliant private and charter schools in my community. Why single out just teachers for their NEA/OEA or AFT dues (full disclosure, I am an OEA/NEA member)? WHAT IS THE PURPOSE OF THIS? Why? What will this accomplish? Why not do this to every participant of collective bargaining? Why are you singling us out? Why is all of this energy spend demoralizing teachers? What would happen if we attacked poverty with the same zeal that public education is attacked? What if our policy makers were hell-bent on eliminating poverty? If our legislative leaders wanted Oklahoma to have the best public education system – they should investigate places that have great systems. Look all over the globe, find things that work and bring them back to Oklahoma. There is no argument that Finland has an outstanding education system. We have roughly the same population – what can we steal from them? Did you know that teachers in Finland are required to have a masters degree? Its a highly competitive job market. Compare that to Oklahoma where we are looking at shortage of teachers: 1,000 this school year and more than that next year. Our job market is nonexistent, show up and we will take you! How do we fix this? How about some respect? Superintendent Joy Hofmeister has been so positive for our teachers, she is out there, letting us know she is listening. We need more people in positions of leadership to follow her example – get out to the schools, get to know us teachers, make a difference before you make a law! When I chose to become a teacher, I knew I would not be a millionaire. I just wanted to make a difference. Have I? Not for me say. I just know that in our current climate, it is very hard to maintain my passion for teaching. 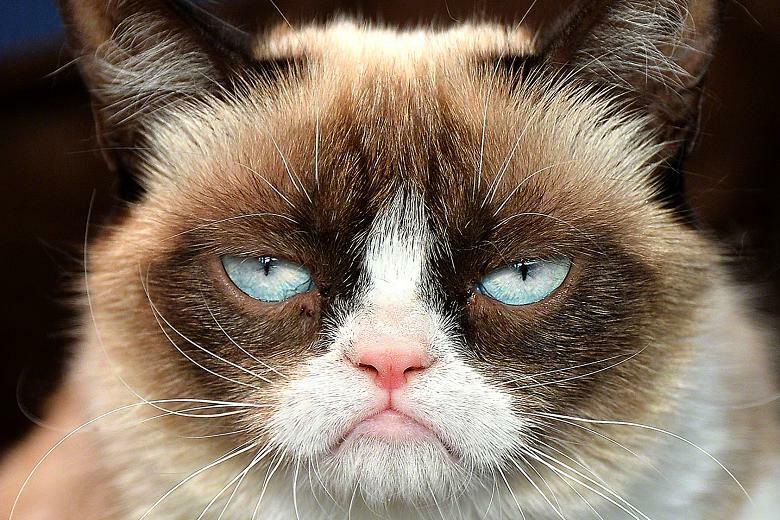 19 Responses to "I’m Grumpy"
Amen! Love what I do, but making it harder for me to stay. I love this! My husband is a minister, and I compare my “calling” into teaching to his into ministry. Teaching is my ministry! But it’s harder than ever, that’s for sure. I think we’re all asking these questions and wondering why some people (legislators) can’t listen to reason! Thank you for your comments – I think that there are a lot of similarities between ministry and teaching. Both are a calling! Mindy, us, too! My hubby’s in the ministry of church and I’m in the ministry of education. Sometimes we pretend to switch or share. We both tend to feel so ignored. As educated people and passionate servants of those we’re called to serve, we sure do feel trampled on. Then when we slump in somewhat defeat, we’re bullied for our laziness. I read this, haselwoodmath, on a particularly grumpy day, so I’m sure this is stemming from that but THANKS FOR WRITING MY THOUGHTS! This has been bouncing around my noggin for about a week – I just needed time to think and ponder and get it as right as a could. Thank you for serving!!! Love your article! I am so sick of our legislators completely ignoring the needs of the people to serve their political and corporate masters. I was a National Merit Scholar and could have done anything, but I have a calling for teaching. To have to waste valuable planning time monitoring the escapades of the clowns at the Capitol is taking away from my job. I must be ever vigilant to what new stunt they are trying to pull, which recycled bill is being slipped into one house or the other because it was shot down in an outpouring of public outrage..it boggles the mind. If they were to put one tenth of the effort they have spent in defeating public schools into helping public schools, we would be so much closer to the top. I have spent more time researching candidates and legislation and campaigning for positive choices than I ever have in the rest of my life (and I am over 50) all to see them returned to office by ignorant and/or non-caring voters. I want to do the job for which I have spent a lifetime training with adequate supplies and tools in a well-maintained facility. I want to use my free time to develop new and interesting lessons, or (God forbid) even explore personal interests and re-energize myself. I never wanted to be a watch-dog for this irresponsible group of agenda-filled idiots, yet I feel I must, because what they are doing will indeed destroy public education in this state if they are left to run amok. Why can they not understand that this is not working? Then again, I guess that is the aim that many of them have; they want to see us fail and will sacrifice the children of our state and its future to see their wish fulfilled. I totally understand your frustration – teaching takes enough time on its own, without having to keep up with other outside issues. My heart breaks as I read your post. I’m fighting back tears as I write this. I am at the crossroad: teaching is my calling/ministry, also, but I am seeking the Lord for answers. Do I stay in education, or walk away? I refuse to give into the “good ‘ole boy system” and compromise my integrity. I have two master’s degrees in education. I’m so close to walking away. I can find a job in other fields. I ask for prayers from anyone who is willing to lift me up to the Lord. I want to do HIs will for my life. That is my only desire. These are challenging times – can you still make a positive impact on those you teach? If you can then keep doing it – they need you!! I recently confirmed what I thought I knew about teaching. Last summer I was asked to become an administrator and I left teaching thinking maybe I can make more of a difference. Not true! While I enjoy being an administrator and I’ve done some positive work, I loved teaching more. So, with my former principal’s blessing, I’m returning to the classroom because it’s what I do best. The benefit is seeing my former students grow and thrive after surviving my chemistry class. Yep, I’m going back in. I wish our legislators valued us as much as I loved being in the classroom. There seems to be a real avalance coming at us…so many separate issues, that gain steam as they combine, and are all directly in our paths. You’ve identified them well…and deconstructed them. We GET to be grumpy…and I’ll guarantee NONE of us will be grumpy with our students. We’ll find that deep reserve of professionalism and love…we’ll engage our kids in learning, and while we’re busy doing that, policy makers will find new ways to keep us grumpy. We’re allowed our feelings. Then, we need to figure out a way to change a tiny corner of our world to help us smile. You said8 what I have been thinking this whole school year. Every legislator needs to shadow a teacher for one week before any bills relating to education could be written. Please do not waste any time and writevto your Senator TODAY about Bill 1749. There is no time to delay. I believe anyone that wants to criticize teachers needs to spend a week in our shoes! Oklahoma legislators are such a joke that it makes you wonder how they even got to the position of power they are currently in. Nobody in the entire group of legislators seems to realize that TEACHERS are the ONLY reason they are able to even consider that profession. The lack of concern for our future generation is terrifying. The lack of concern for public education is unimaginable. The lack of concern for the very people that build and guide a child’s educational development is flat out sickening. Cutting funds for education and constantly changing curiculims is only going to destroy the ENTIRE states future. And how trivial this is to me because some of those legislators that are fighting for this bill will still be alive to see the damage they have caused to the future welfare of Oklahoma. I recently moved out of Oklahoma and one reason being was because of how archaic and self destructive the governmental system is there. I was so lucky to have received a great education from Edmond Memorial. I graduated in 2010 and I am still to this day extremely grateful for EVERY SINGLE AMAZINGLY INTELLIGENT & PASSIONATE TEACHER I acquainted because without them I would literally be NOTHING. If the legislators absolutely must stick their noses where they do not belong, then they should be expending this amount of time and energy to pass a bill that will educate children on the importance of voting and participating in their local government so that their lives are not controlled by people of greed and intolerance. I loved teaching at Memorial!! It truly is a school doing it right – in spite of all of the policy handcuffs.